Amazon.com description: Product Description: The Swiss writer Robert Walser is one of the quiet geniuses of twentieth-century literature. 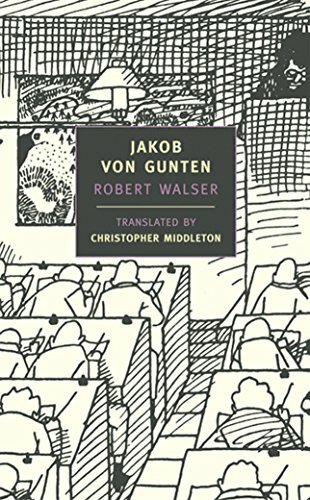 Largely self-taught and altogether indifferent to worldly success, Walser wrote a range of short stories, essays, as well as four novels, of which Jakob von Gunten is widely recognized as the finest. The book is a young man's inquisitive and irreverent account of life in what turns out to be the most uncanny of schools. It is the work of an outsider artist, a writer of uncompromising originality and disconcerting humor, whose beautiful sentences have the simplicity and strangeness of a painting by Henri Rousseau. About: Man lernt hier sehr wenig, es fehlt an LehrkrÃ¤ften, und wir Knaben vom Institut Benjamenta werden es zu nichts bringen, d.
About: Ein Tagebuch, erstmals erschienen im Jahre 1909. About: The Swiss writer Robert Walser is one of the quiet geniuses of twentieth-century literature.